Delicious breakfast that Reagan and I have been hooked on for the past week. 1. Mix desired amount of apple butter, peanut butter and honey together in a small bowl. 2. 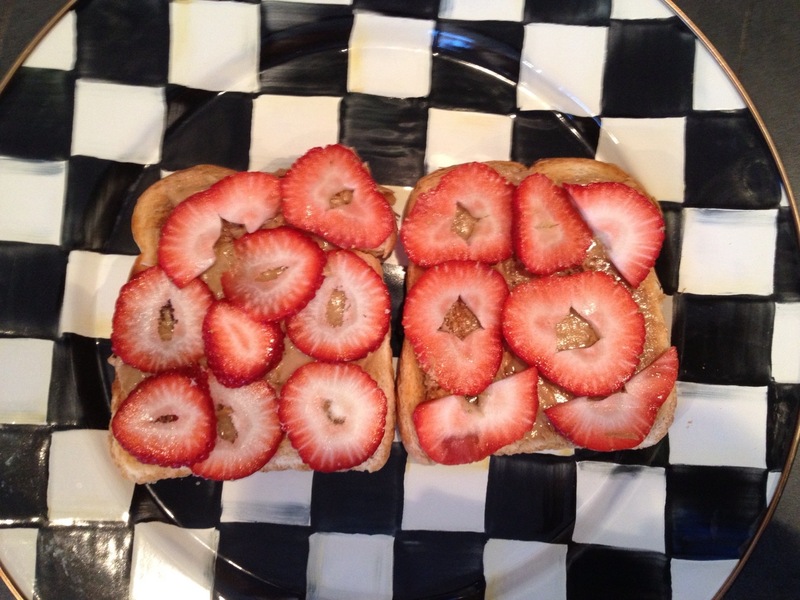 Cut desired number of strawberries into thin slices. 4. Spread apple butter mixture on toast. 5. Top mixture with sliced strawberries.